Indian Space Research Organisation (ISRO) Chairman K. Sivan has said that India's second lunar mission, Chandrayaan-2 would be launched most probably on January 3, 2019. Addressing the media following the successful launch of PSLV C-42 into orbit, Sivan talked about the slew of launches scheduled over the next few months. He said, "Chandrayaan-2 is planned for a window from January 3 to February 16, 2019, that we are targeting. It can happen anytime during that window. But we are aiming for the beginning of the window, January 3." Talking about the successful launch of the NovaSAR and S1-4 earth observation satellites of U.K, Sivan said, "Today I am extremely happy to announce that PSLV-C42 carrying two customer satellites NovaSAR and S1-4 placed them precisely in orbit. Within the next six months, 10 satellite missions and eight launch vehicle missions would be launched - one every two weeks." Meanwhile, reacting on ISRO scientist Nambi Narayanan granted compensation by the Supreme Court after being arrested in an alleged spying case, Sivan said, "ISRO isn't in the picture. The case is only against Kerala government. When it was decided that he (Nambi Narayan) is wrongly arrested, he returned to ISRO." The Supreme Court on September 14 granted compensation of Rs 50 lakh to Narayanan, who was arrested in an alleged spy scandal in 1994. The apex court had observed that the arrest of Narayanan was "needless" and "unnecessary". A three-judge bench of the top court, headed by Chief Justice of India (CJI) Dipak Misra, had also announced setting up of a committee which would be headed by retired Supreme Court judge DK Jain to investigate the role of Kerala police officials in the arrest of Narayanan. 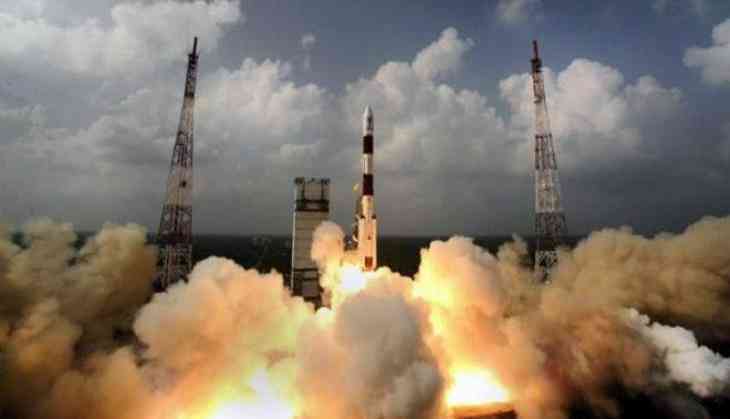 On Sunday evening, the ISRO successfully launched PSLV C-42 into orbit carrying two international satellites-- Nova SAR and S1-4 from the Satish Dhawan Space Centre in Sriharikota. The two earth observation satellites have been developed by Surrey Satellite Technologies Limited (SSTL), the United Kingdom under a commercial arrangement with Antrix Corporation Limited, Department of Space. Both the British satellites that weigh around 889 kgs, were launched into a 583 km Sun Synchronous Orbit. NovaSAR is an S-Band Synthetic Aperture Radar satellite intended for forest mapping, land use, ice cover monitoring, flood and disaster monitoring. S1-4 is a high-resolution Optical Earth Observation Satellite, used for surveying resources, environment monitoring, urban management and for the disaster monitoring.